Sarah works at the Mortgage Required Head Office in Maidenhead, her professional, friendly approach has helped clients save money and move home. Q. As a child, what did you want to be when you grew up? 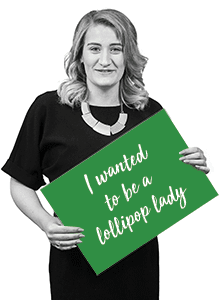 A. I was really ambitious and wanted to be a lollipop lady. Q. First music you bought? A. Roast dinner, NO...Christmas dinner! Q. Favourite part of your job?